Well, I did a lot of riding, well over 10,000 km. Rode in a lot of new locations. Made quite a few new friends. 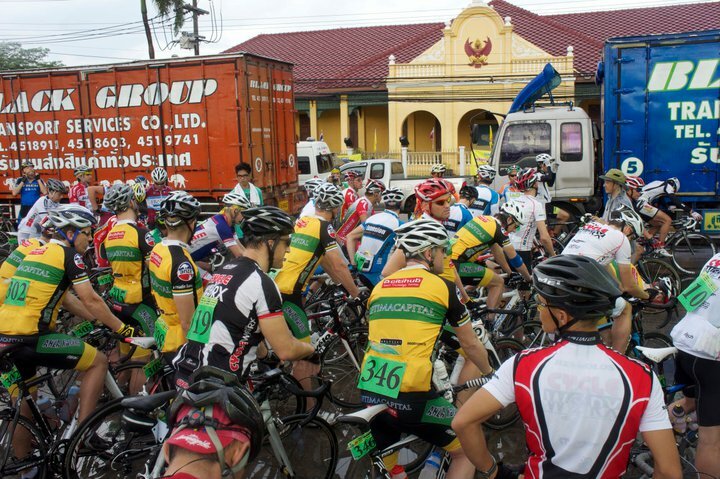 The stand out ride for me was riding the second day of the Tour Of Friendship in Thailand. It wasn't a epic 200km, there weren't thousands of vertical meters climbed. There wasn't even any amazing scenery. What there was, was lots and lots of rain. 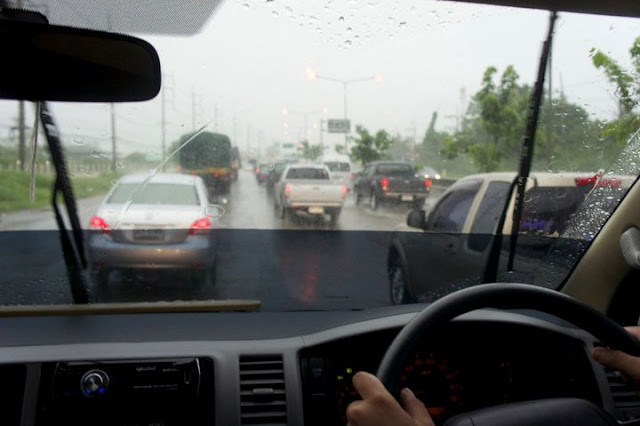 In fact it was bucketing down, so much so that my tyres were submerged for the majority of the ride, I could barely see, and in tropical Thailand, I was freezing. It was memorable for being the single most dangerous ride I have ever done. I was amazed I didn't crash, with the roads submerged you could not tell if there were potholes coming, and there were an amazing number of joins in the road (in reality huge gaps) just waiting to swallow up my wheels. Sadly, a lot of people did crash, some right in front of me, for no apparent reason, several to the side of me when crossing railway tracks, but I'm pretty sure no one was seriously hurt. The above picture is from the start of the race, the calm before the storm. Below is a picture from a support vehicle. Oh - the roads were not closed to traffic for the race. I am planning to go back again this year - and hopefully it will be rememberable for other reasons. Agree! You forgot to mention the thunder and lightening and we were riding INTO it!